Dig out those old, tired pieces and bring them in today. You'd be amazed to see what we can do with the materials you already have - and better yet, when you supply the diamonds and metal you're only paying a small portion for your new jewelry! 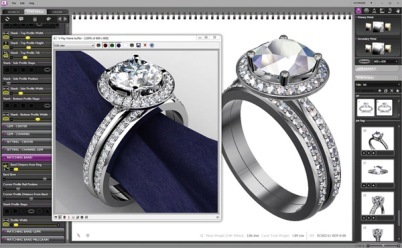 We use the latest in Computer Aided Design technology to make your dreams a reality. With CounterSketch Studio, our only limit is your imagination. Give us a call today to make an appointment with our designer. Never a consultation fee!